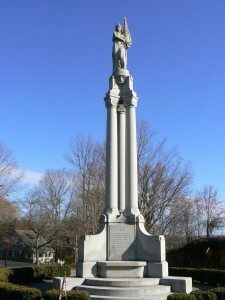 A tall monument topped by an allegorical standard-bearer honors Newtown’s soldiers and sailors. The monument is surrounded by a series of Honor Roll plaques listing local residents who have served in the nation’s wars. 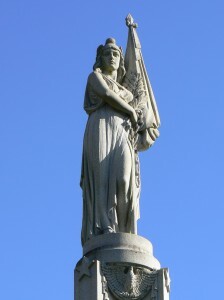 The front of the monument features a plaque honoring veterans of the Civil War and the World War, and another plaque lists veterans of the American Revolution, the War of 1812, the Mexican War (in the 1840s), the Spanish-American War, and the Mexican Border War (in 1915-16). 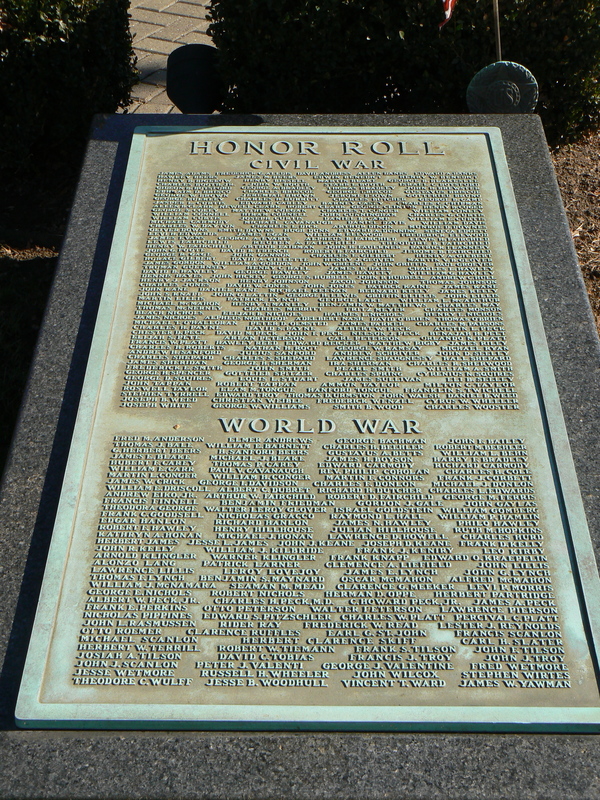 Moving counter-clockwise around the base of the monument, plaques list veterans of the Persian Gulf War (1990-91); Vietnam; Korea; and World War II. 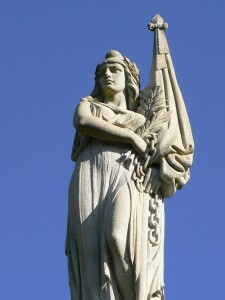 The helmeted allegorical figure atop the monument, representing Peace, stands with a flag, a laurel branch and a chain tucked in her arms. 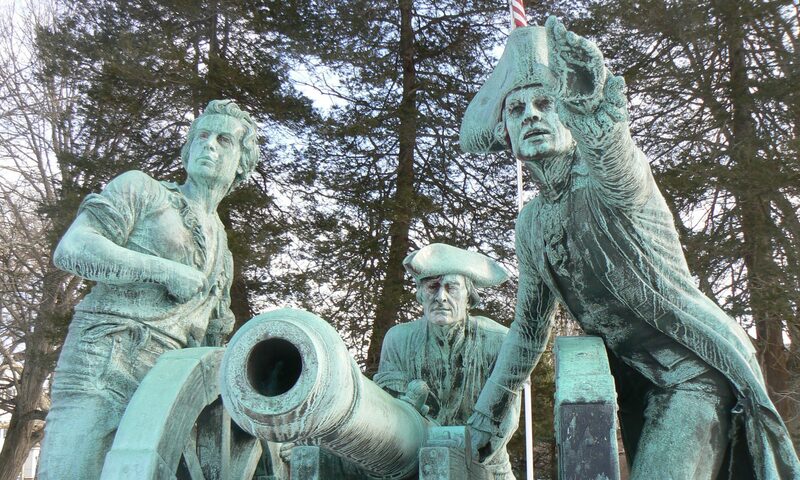 The monument was designed by Franklin L. Naylor, who was also responsible for a war memorial in Jersey City, N.J. The monument was erected in 1931 on the site of a former schoolhouse that was later moved and turned into a private home. 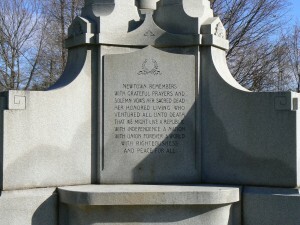 The monument’s formal dedication took place in 1939. 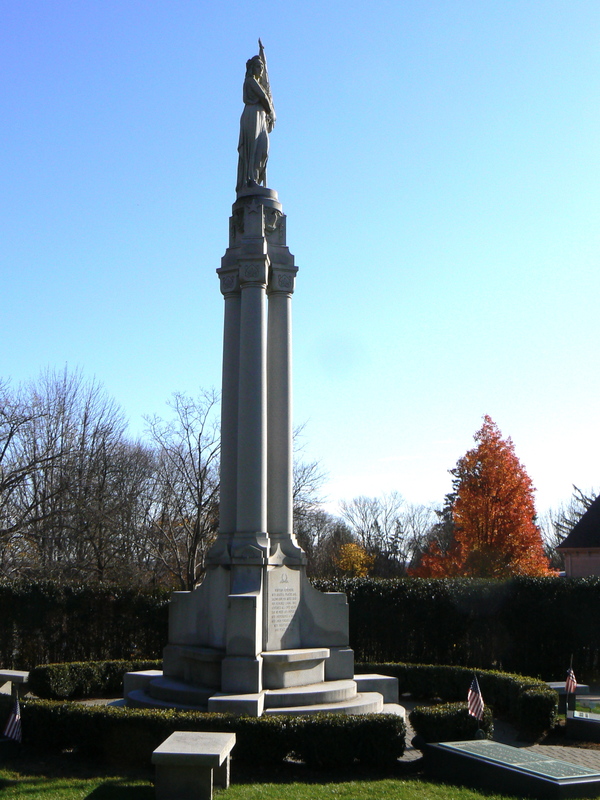 The monument is more commonly known as the Soldiers’ and Sailors’ Monument, but according to the Newtown Historical Society, the artist’s original blueprints list the name as the Liberty and Peace Monument. The society’s newsletter advocated a return to the original name, so we’re doing our small part in promoting the change.